Gift Card valid for use ONLY for Lady Bea tickets and on board for food and drinks. 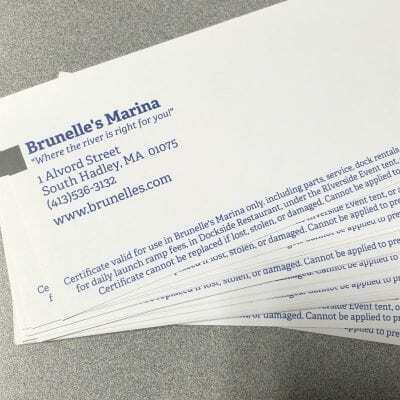 (Not valid for use at Brunelle’s Marina Ship Store, for boat parts and service, docking, launching, or gas purchases. 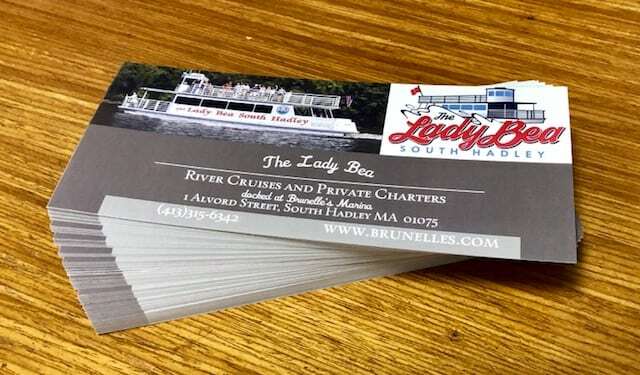 The Lady Bea is not affiliated with The Boathouse) Certificates will be mailed via USPS mail, unless other arrangements are requested. We cannot email gift certificates. Please treat your certificate as cash, as it cannot be replaced if lost, stolen or damaged. Gift certificates do not expire. Get special promos and announcements! Copyright © 2019 Brunelle's Marina | Website by Bloo Solutions, Inc.